In order to tackle the organic waste crisis in Africa, many countries are developing and implementing innovative solutions that reduce the amount of waste that goes to landfills every year. Organic waste is extremely harmful to the environment and makes up a large percentage of all household and general waste. 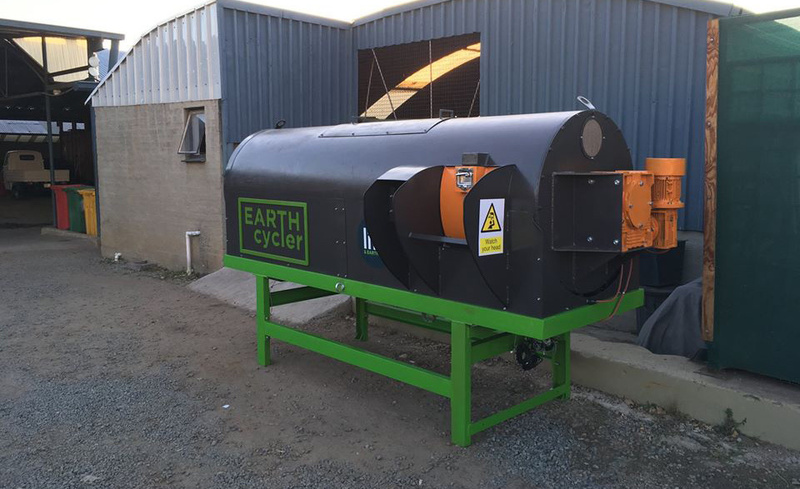 South African company, Earth ProBiotic, has developed a food waste composting machine called the Earth Cycler. This machine can process up to 5000kg of organic waste per month. The company’s on-site food waste composting solutions have been implemented across South Africa, Botswana, Zambia and Mozambique. The Earth Cycler is a fantastic solution for all businesses, especially resorts and hotels, where a vast amount of organic waste is generated. It is especially useful for safari and wilderness lodges, where food waste is a major environmental issue. The Earth Cycler ensures that animal scavengers are not attracted to food waste and that rotting food is not able to pollute water sources and threaten wildlife health. The Earth Cycler can process all food waste including fish, bones, dairy, cooked food, egg shells and cartons, as well as manure, garden waste and waste paper. It is cost and energy-efficient. It consumes a maximum of 30kWh/month, requires no added heat or air and it measures inputs and outputs so that food waste volumes can be tracked and reduced. The Earth Cycler can be remotely managed and receive over-the-air software updates, as well as feed data to online dashboards. Earth ProBiotic also offers a household composting solution with their Earth Bokashi bins. The Earth Bokashi bucket is 25-litres in size, made from recycled plastic, easy to use, non-odourous, and can hold up to 18kg of food waste.